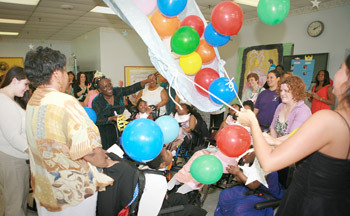 Lake Taylor holds first ever “Fairytale Dance” for their long-term pediatric patients. It was a glamorous afternoon of dancing and fun for Lake Taylor pediatric patients as they celebrated one of the most hallowed events of life: prom. Patients, ages 2 -19, and their families were invited to the Friday, June 8th event, organized by the Hospital and SECEP (Southeastern cooperative Education Program). 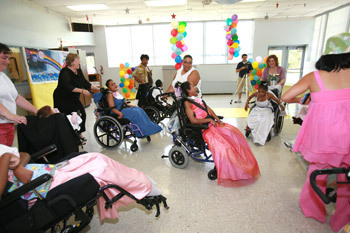 The festivities included a pre-prom “get-ready” party – girls had their hair, makeup and nails done. 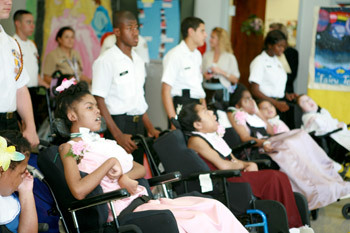 All patients were then escorted to the dance in style by members of the NJROTC. 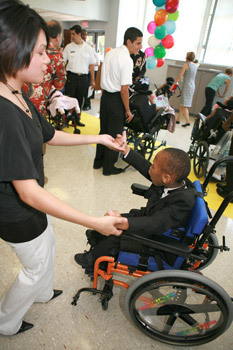 Prior to the dance, the children were given their “moving up” certificates (promotion to the next grade) as well as a special CD, made by “Songs of Love”, which contained a unique song written for each individual child. Every aspect of the dance was very “prom-like” — children wore tuxedoes and gowns; formal photographs were taken; and, a “King and Queen”, “Prince and Princess” and “Dutch and Duchess” were also named. A special thanks to all sponsors of this wonderful event. If you’d like to volunteer your services to the pediatric unit, please call 461-5001, ext. 426.